Backed by rich industrial experience and knowledge of trained professionals, we are able to manufacture, supply and export a wide range Hydraulic Cylinders to all our clients spread worldwide. These are known for its optimum performance and flawless functionality. Our range of cylinder is extensively used in various industrial applications in different industries. Our range includes Cylinders for High Temperature, Mill Duty Cylinders for Different Application, Standard Cylinder, Tie Rod Type Cylinder for Low Pressure Application and Hydraulic Cylinders. A Hydraulic cylinder is a mechanical actuator that is used to give a unidirectional force through a unidirectional stroke. 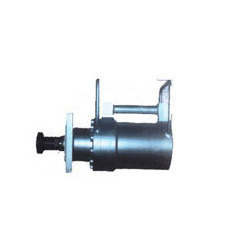 It has many applications, notably in engineering vehicles. without pressure. The pressure in the piston rod area chamber is (Pull Force) / (piston area - piston rod area). We are engaged in manufacturing a wide range of hydraulic cylinders that are suitable for for high temperature applications. Fabricated using graded material, these cylinders are known for their accurate dimension, corrosion resistance and better durability standards. Stringently tested under strict supervision of our quality assurance department, these cylinders are also provided in customized specifications to the clients. 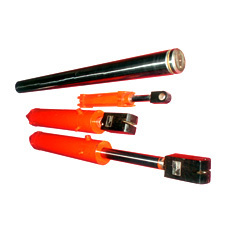 We are specialized in manufacturing a wide types of tie rod hydraulic cylinders that find application in various industries and sectors. Designed using latest technology, these cylinders are suitable for low pressure applications and used in machine tool & short stroke application. Sturdily constructed, these cylinders offer high performance and better durability. Compliant to international standards, these can be availed in different models and capacities to suit the diverse needs of clients. We offer a range of standard hydraulic cylinders, that are designed in accordance with the set industrial standards. 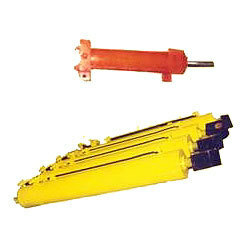 These are used in a number of industries owing to their long lasting life, trouble-free operation and less maintenance. Precision machined by our expert technicians, these cylinders are highly demanded among our esteemed clients spread across India as well abroad. We manufacture and export a range of mill duty hydraulic cylinders that can be used for different types of applications. 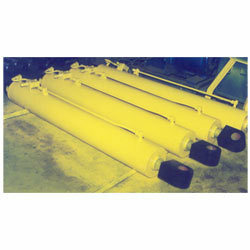 These cylinders are built for heavy duty applications and have long service life. 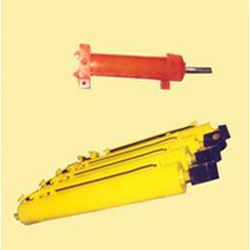 Provided in various models and capacities, these cylinders come with the ease of operation and maintenance. Further, our range is well checked on quality parameters to match with the international industrial standards.